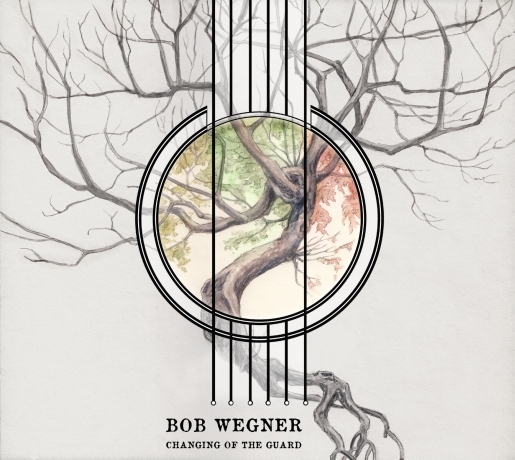 BOB WEGNER - "CHANGING OF THE GUARD"
BOB WEGNER RELEASES DEBUT ALBUM on "BDUBS Records"
After over a decade of session work and touring around the world professionally, virtuoso multi-instrumentalist Bob Wegner is introducing himself as a composer with his album "Changing Of The Guard". In sharp contrast to his background as a rock musician, the album's wide range of influences include baroque, 1960s British folk, and Indian classical music. Bob shows his versatility by playing all instruments on the album, aside from the string quartet heard on the haunting "58 Feelings". 11 of the 12 compositions are his own. The one exception is the Spanish standard "El Noi de la Mare". "It stopped me in my tracks. The 'guitar orchestra' section is beautiful." "Changing Of The Guard" is available on CD, iTunes / Apple Music, Amazon, Google Play, Spotify, and Pandora. Bob has played guitar in theatrical productions such as We Will Rock You and Evita, toured with Classic Albums Live and a number of tribute bands, and has played solo acoustic shows both on dry land and on cruise ships. His playing has been heard on ad jingles, and in films such as "In Saturn's Rings" and the award-winning "Touch". Also a music historian, he is credited as "photo archivist" in the Max Webster box set called "The Party". You can catch him playing shows to promote the album at C'est What in Toronto on Sunday December 3, the Casbah in Hamilton on Thursday December 14, and the Pearl Company in Hamilton on February 11, 2018.